SoulTrackers may not recognize the name Eluriel “Tinkr” Barfield, but they’ve likely heard his music. The Brooklyn native first teamed with legendary hitmakers Ashford and Simpson as a teenager, and went on to work with such notable artists as Luther Vandross and Lou Rawls, and became known for his top notch bass work. He says, “For years, I’ve played with many artists and at this stage of my life I’m ready to come out front and do my thing.” Tinkr recorded his first album in 2011, and is now readying his follow up, Blended, which is due in early 2018. 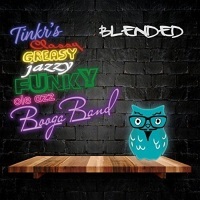 On Blended, Tinkr blends different musical genres to create a project that, in his word, is “classy, greasy, funky, jazzy, and booga!” And he leads off the disc with “City Blues,” backed by several of his Luther Vandross bandmates (Nat Adderley, Jr., John “Skip” Anderson, Ivan Hampden, Steve Kroon, and Doc Powell). “City Blues” is a jazzy, funky cover of Marvin Gaye’s Inner City Blues, and it completely works. Tinkr tells us, "City blues is one of Marvin Gaye's most poignant observations about life and expresses the sentiments of many people in todays society. Makes You Wanna Holla!" We are so excited about "City Blues" that we've asked Tinkr if he would make the mp3 available to SoulTrackers, and he said yes! So we have as our latest SoulTracks Choice Track this great new version of an old favorite. 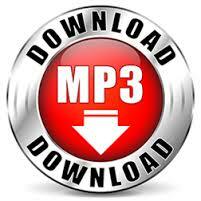 Check it out below and then click on the download button to get your copy for free! To Download: Click on the button above, and when you get to the landing page, point your cursor on song, right click on your mouse, choose "Save As" and then select the desired location on your computer.The song may take a minute or two to download.